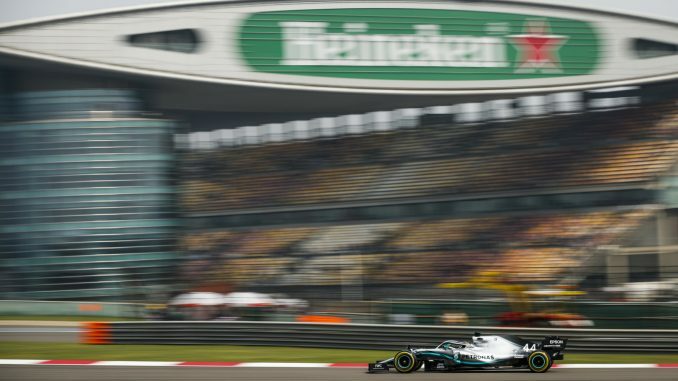 Lewis Hamilton celebrated the 1000th Formula 1 championship race by taking the 75th victory of his career, finishing ahead of Valtteri Bottas and Sebastian Vettel at the Chinese Grand Prix. Hamilton got the better start of the two Mercedes drivers, leading into the first corner, while Charles Leclerc also passed his teammate heading into turn one. The Virtual Safety Car was needed on the opening lap of the race when Daniil Kvyat tripped over both McLarens, leaving Carlos Sainz and Lando Norris needing new front wings, and the Russian driver with a drive-through penalty. With Vettel unable to pass Leclerc on pace, Ferrari issued team orders telling the Monegasque driver to let the four-time champion back through 11 laps into the race. Verstappen was the first of the front five to come into the pitlane, forcing Ferrari to bring Vettel in the following lap to prevent the undercut. The Red Bull driver made the overtake on the following lap, but ran wide to let Vettel take the place back. Leclerc stayed out a few laps longer, but dropped behind Verstappen when he came in for new tyres. 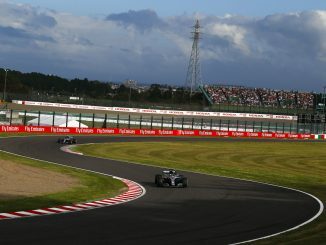 Bottas stopped one lap before Hamilton, and seemed to switch the hard tyres on faster than the current champion, closing the gap to his teammate, but couldn’t get close enough to go for the overtake. With a big gap back to Pierre Gasly in sixth, Red Bull decided to bring Verstappen in for a second stop, triggering a second round of pitstops among the leaders, except for Leclerc who stayed out longer. Bottas and Vettel both moved back ahead of Leclerc on fresher rubber, forcing Ferrari to bring him in for another stop shortly after to drop him back behind Verstappen. Kvyat was the second driver the retire from the race, coming into the pitlane with 12 laps to go. 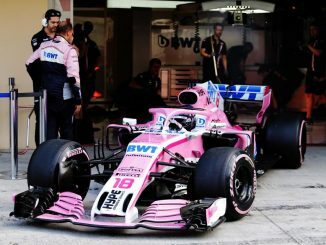 His Toro Rosso teammate Alexander Albon had a contrasting race, starting in the pitlane after destroying his car in FP3 and skipping qualifying, to move through the field and into the top 10. 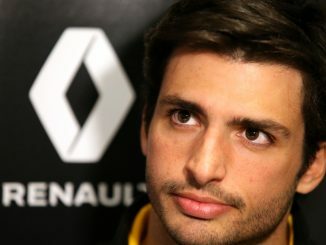 Having sustained damage in the collision with Kvyat at the start of the race, Norris pulled into the garage with three laps to go, having previously made four pit stops. Gasly put on soft tyres for the last two laps in a bid to take the point for fastest lap from Vettel, and managed to beat the Ferrari driver’s previous best on the last lap, while Albon held off late pressure from Romain Grosjean to pick up the final points position, and Daniel Ricciardo put back-to-back retirements behind him to take the first points of his Renault career in 7th.